For many years, I have quite happily cracked a can of tuna, spilled its flaky contents into my salad, or pasta, or baking tray, and devoured the flavoursome fish like a tabby at dinner time. Normal yes? Well, for some. For others it might be akin to stabbing themselves in the eye. Because let’s face it, canned fish is one of those things, like politics and paw paw, that you either love, or absolutely HATE. Clearly I’m a lover, not a hater and the fact that I’m eating fish IN A CAN doesn’t really bother me too much. Until I write it and contemplate it and then it does actually become a little gross. Anyhoo, that’s not the point of this post, so we must push on. The point of this post, Happies, is to bring your attention to the fact that the cans on the shelves of our local supermarket aren’t always telling the truth. They may not be lying as such, but they sure know how to bend the truth. I was at About Life in Bondi the other day, getting sucked into all kinds of exciting new food items to try, when I noticed a sign in the tuna section. It made reference to unsustainable fishing practices by many of the big brand tuna companies we eat all the time. 1. For each and every species of fish we pack, we will use methods and equipment that are as targeted as possible to achieve near-zero by-catch. This means that with respect to tuna fisheries, we refuse gillnets, dolphin-sets, long lines and purse-seiners setting on FAD’s. All these methods are regarded as having too much by-catch risk. 2. We do not catch or pack any fish that is bottom dwelling at present and so our fishing do not involve equipment that can damage fragile eco-systems at the bottom of the sea. There are some products that we have been looking at and, were we to add these, we would only do so using the most selective method possible – for example we would not support dredging or trawling. The list goes on, making sure that all their fish, not just tuna, comes from suppliers in-tune (ha!) with sustainable fishing and ensuring the eco-system isn’t destroyed in the meantime. The other, more affordable option was, in fact, Greenseas. Now this brand, I’ve heard of. Greenseas for me has always taken a back seat to Sirena, which saddens me so much and really makes me want to smack myself for being so unaware and naive for all these years. Naughty Yaz. Greenseas has actually had a big pat on the back from Greenpeace and is also well regarded when it comes to fish in cans. Which, mind you, I’m still thinking is strange (until tomorrow lunch time when my weekly can will make a cameo in the office). So Happies, please heed this warning. If, like me, you’re a tuna eater, please take the time to know WHERE your fish is coming from. In Australia, the majority of our canned fish comes from Thailand, or more specifically, the Western Central Pacific Ocean (WCPO). And even more specifically, within equatorial waters of the WCPO (10N and 10S, and 130E and 150W), and within the national waters of many Pacific Island Countries. This is good news for us, as the WCPO is regarded as the world’s most robust tuna fishery. Awesome! As well as seeing where your tuna is coming from, it’s also important to see WHAT variety your fish is. Skipjack is the most popular on our shores and it’s also the most sustainable, being fished at around 70%. That means it can hack an increase in fishing, unlike its mate, Yellowfin, who is on the verge of being over fished if demand increases. Bigeye is another variety that isn’t common in Australia, however, he sometimes gets caught when they’re fishing for Skipjack or Yellowfin and he’s not really keen on it, so let’s try to avoid buying him, if possible please. Bluefin isn’t used much in Australia either, but if you see it don’t buy it, as he’s on the verge of endangerment. Poor mate. 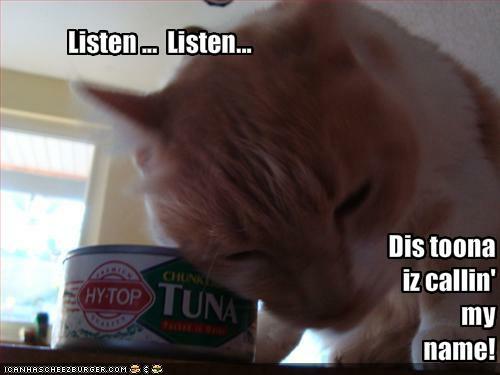 The final cut in the tuna can comes in the form of knowing HOW your tuna is being caught. This should be openly specified on the can, so look for words like Pole, Line, or Purse-Seine. Purse-Seine is where the fishermen use a net to encircle the fish and then tie it up like a purse to catch them. About 70% of the fishing in the WCPO is done using this method. The other two methods, Long Line Fishing and Pole and Line Fishing make up the rest of the quota, with long line fishing being less targeted and catching sharks and other fish off guard. That’s not cool, is it? Are you aware when it comes to canned tuna? Are you a canned fish lover or hater? Has this helped you make the switch? Alicia Silverstone you clever little naturalist, when did you get so damn clued in? Ha? Ha? That’s right Happies, somewhere between Clueless and 2009, our favourite Beverly Hills babe became THE educator of all things vegan, healthy and happy, publishing popular diet book ‘The Kind Diet’ and launching her health and wellness destination – The Kind Life. A friend of mine alerted me to Alicia’s new path a few weeks ago, and while I can’t wait to sink my teeth into it this weekend, I thought now would be the perfect time to tell you about it too. You know, so we can all read it together and chat about her vegan ways and whether we can, in fact, ditch beef for tofu once and for all. The crux of her book is to provide readers with a ‘Simple Guide to Feeling Great, Losing Weight, and Saving the Planet’, which, when you think about it is probably the most awesome thing anyone with an interest in health and wellbeing could ask for. But for me, I’ve always considered myself a committed meat eater. The thought of embracing a vegan, or even vegetarian diet, as Alicia suggests was out of the question. However, lately I have found the craving of vegetable and vegetable only far stronger than the pull of my beefy, porky or lamby friends, so I’m heading into this reading journey with an open mind. Who knows, my body might thank me for it. 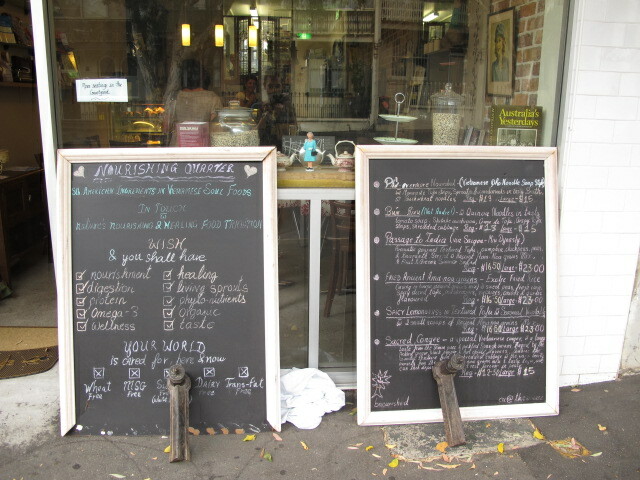 And thanking me it is today, Happies, for said friend also alerted me to this divine little vegan eatery in Surry Hills in Sydney that looked and sounded so delicious, I rushed there for lunch today. Winner! 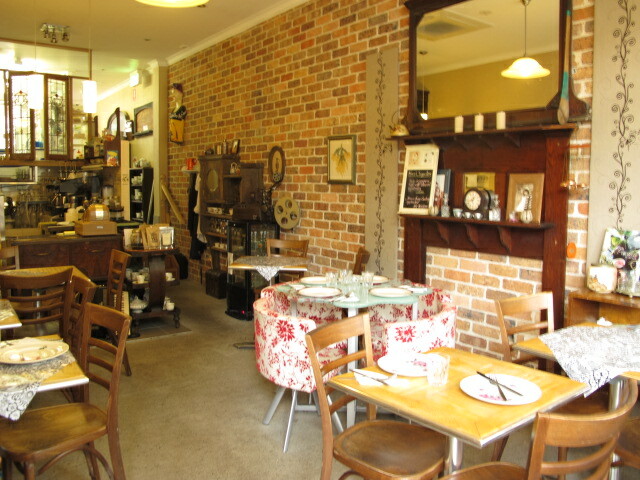 The place is called Nourishing Quarter, and for anyone in the vicinity of 315 Cleveland Street Surry Hills right now, you need to finish reading this post, jump on your bike or skateboard or Segway and hit this place up immediately. The Nourishing Quarter is my life on a plate. It’s everything I try to make at home only tastier and delivered to my table by the sweetest woman you’ve ever laid eyes on. The menu is packed with incredibly tasty vegan treats, including rice paper rolls rammed with quinoa, amaranth and vegies. In the name of research I had to get a few things on the menu, so after trying the trio of rice paper rolls, the Indian-style curry with tofu, sweet potato and chickpeas was added to the list. 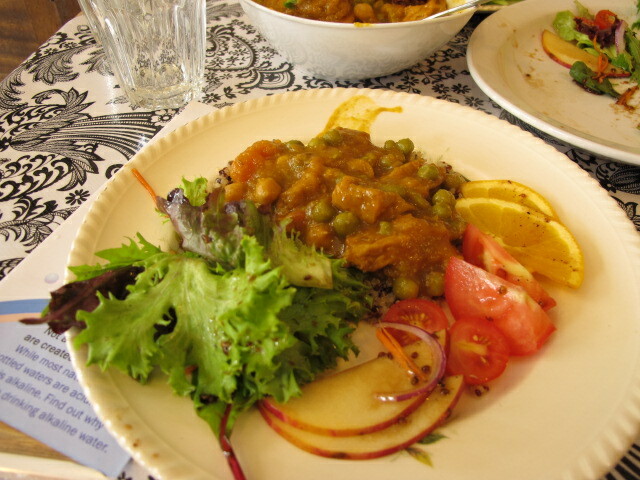 Served with a trio of grains and tasty salad, this was, by far, the BEST curry I’ve ever devoured. I’m still full, but the visual makes my tummy grumble in happiness at the mere sight of it. I have to say, there’s something to be said for finding these adorable little eateries and finding food that nourishes you on the inside and out. Despite getting a little, erm, curried away and eating far too much, I feel amazing and know that everything I eat has an impact on how I feel. Maybe Alicia is onto something. I sure can’t wait to find out. Have you heard of The Kind Diet? Being the animal lover that I am, I couldn’t help but post this hilarious video that is such perfect timing for me, it’s a little bit insane. After seeing so many of these animal in real life recently, it made this footage all the more entertaining, but if it doesn’t put a smile on your face in about 2.6 seconds, I’m going to be concerned Happies. Stoke the fire of your senses when on safari. Or just in nature. I have a problem. Not a giant problem, more a conundrum in the form of wanting to write about every tiny little morsel of my latest adventure, but risk not only boring you (does anyone really care about holiday stories apart from the person who just went on holiday?) but also not knowing exactly where to start this post. Hence, the jabbering introduction in which I’m hoping hasn’t made you tune out yet. Don’t! It’s about to get good. I think. You see, Happies, I’ve just returned from a little over two weeks in Mauritius and South Africa and as expected, the trip was everything I’d hoped for it to be plus a little bit more. The idea of having time away from computers, work and general life annoyances like washing the dishes and soaking your whites is pleasant to anyone, unless you hate travelling in which case it’s your worst nightmare. But as that’s only a small percentage of the population, let’s assume you too think it sounds as delightful as I do. But rather than rehash each and every activity that took up my time while away, I will sum it up and let you in on the main insight I discovered while away. As a city dweller, I find that we are blessed in so many ways. Especially here in Australia. We have beaches, safety, cars, running water and even welfare, something that many of our fellow international friends do not. However, after spending time at Kruger National Park, driving around the solitary plains of the South African back-country, it dawned on me that while we are lucky to live in the city, there’s something to be said for the life of a country cat. 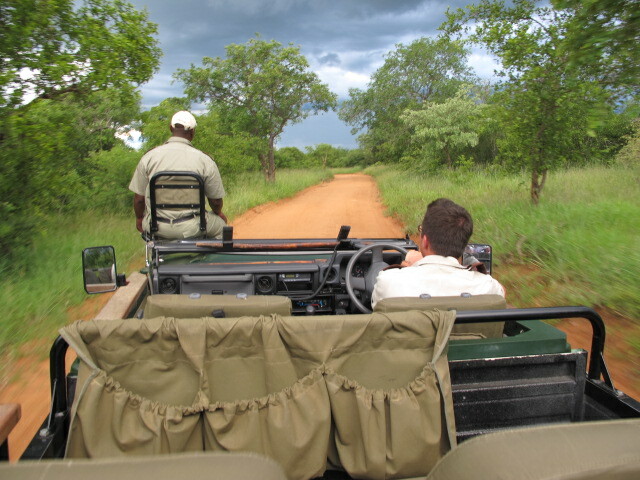 On arrival at Kruger, it was astounding to me how much my senses were actually, well, sensing. Living in the city, the raw smell of fresh animal dung, trees, earth…nature is something we completely miss out on. And that became apparent to me the second we started driving around. My senses were in overdrive – my nose, eyes, ears…everything was soaking up the new sensations involved in being at one with nature. I’ve been told many times by both my yoga instructor and Glenn that when life is getting on top of you, the best way to come back down to earth is to get into nature. Take a walk on the beach or in a park, but most importantly, have your bare feet touch the earth. This, in turn, grounds you, helping you leave your head and all the thoughts in it, and become more ‘grounded’, literally. This theory couldn’t have been more greatly tested than on safari. Everything around you screams nature. Screams instinct. Screams everything the city is not. Your heart is beating as you tractor down a dirt road, in hot pursuit of the male lion or in search of the infamous leopard. You can see, smell, hear nature at its best and for that, you feel more alive than ever before. Or, at least I did. So, while going on safari might not be an option right now for everyone, I do urge you to head to your nearest beach, park or sanctuary of some sort, take off your shoes, lie down and let nature overtake you. It’s a splendid thing, I promise you that much. Do you take time out to escape the city and get into nature? If so, how? But you already know that. Of course you do Happies, because everyone knows that there’s no better way to push refresh than to literally do so. On the beach in Mauritius, if possible. And that’s exactly what I’ll be doing as of tomorrow eve, as I jet off to Mauritius, Kruger National Park, Cape Town and the Garden Route for the next three weeks. Weee! But before I do, there’s the issue of actually ‘switching off’. In a recent functional assessment I had with Glenn it was clearly written that I need to take more time to do NOTHING, rather than disguise relaxation as yoga, or boxing, or stand up paddle boarding, or yes, even a holiday. I’m sure many of you will agree that it’s hard to switch off, do nothing, and really, truly relax. Sitting on the couch watching the news doesn’t count, in fact, according to Glenn not even meditation counts, as technically, you’re doing ‘something’. The concept of sitting peacefully for a short (or long) while and contemplating your thoughts seems impossible, almost farcical, for some. My mother, for one, is completely incapable of ever switching her ‘off’ button on and remains in a rather exhausting state of adrenal overload for the entirety of her day. She’s a delight, don’t get me wrong, but there’s no chance of ever relaxing with her. Impossible. Which has me asking WHY? Why is it that so many of us are unable to be with ourselves, quietly listening to what’s going on inside our heads and allowing ourselves to do nothing. It’s almost like we should feel guilty for not being busy 24/7. I read in my glorious Stephanie Dowrick book last night about how we are the only person who will spend every minute of every day with ourselves. It’s so TRUE. No one spends more time with you than, well, you. So, why not hang out, rest, relax and make friends with ourselves, rather than feel guilty or look for ways to distract ourselves from, yep you guessed it, ourselves. It’s pretty funny when you think about it. I am in the early learning stages of this Happies. My boyfriend has taught me the art of the 33% split when it comes to life. He does, and always has, lived in a perfectly balanced state of 33% health, 33% wealth and 33% happiness. In everyday language, he splits his time seamlessly between exercising and remaining active, working and making money, and spending time with me or sometimes, doing sweet F.A. Gosh! I’m not lying when I say this took me by surprise. Especially when we first started dating and I’d discover he was having a nap at 3pm or down at the beach at 10am with mates. Swimming. Pft. In case you’re wondering, he’s in a work role where he is on the road and has insanely flexible hours, but amongst all that swimming and napping he is also the highest performing worker in his multinational company, and just recently won ‘Rising Star of the Year’. All that in four hours work a day. Crazy, I know. But while this may not work for everyone, it was this amazing ability to make life whatever you want it that sent me on this beautiful journey in the first place. I was skeptical at the beginning, trust me. But after slowly making necessary changes to my life that included doing more of what I love, taking more time to turn off and enjoy the simple things in life, I have, in a crazy turn of events, become far more productive, chilled and inspired. Winner. So, on that note, I bid you au revoir, for a short while at least. Mainly due to the fact that there’s no reception on safari, and also because I’ll be practicing equanimity, and the art of doing nothing. Ahhh, bliss. Do you have trouble switching off? Are you planning any holidays soon? Been to Mauritius or South Africa? Any tips?